Once upon a time, there was a homebrewer in Indianapolis named Jim Matt. He was a pretty good homebrewer. He won some medals. He ate some tamales. And then he entered the beer industry. He started at Sun King Brewery doing quality control activities. He then moved to Cincinnati to brew at Moerlein Lager House. For the past year plus he has been brewing at Rhinegeist Brewery in Cincinnati. So far, if you lived in Indy and wanted to try their beers, you had to either attend a festival or bring some beer from Cincy in the style of Burt Reynolds in "Smokey and the Bandit". 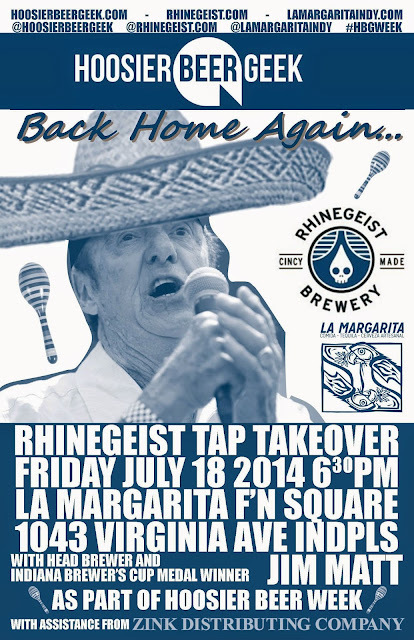 But Hoosier Beer Geek is proud to announce that Rhinegeist will be taking over the taps at La Margarita in Fountain Square (1043 Virginia Ave.; www.lamargaritaindy.com). We will be kicking things off on Friday, July 18, starting at 6:30pm. Come join us in welcoming Jim Matt back home again. 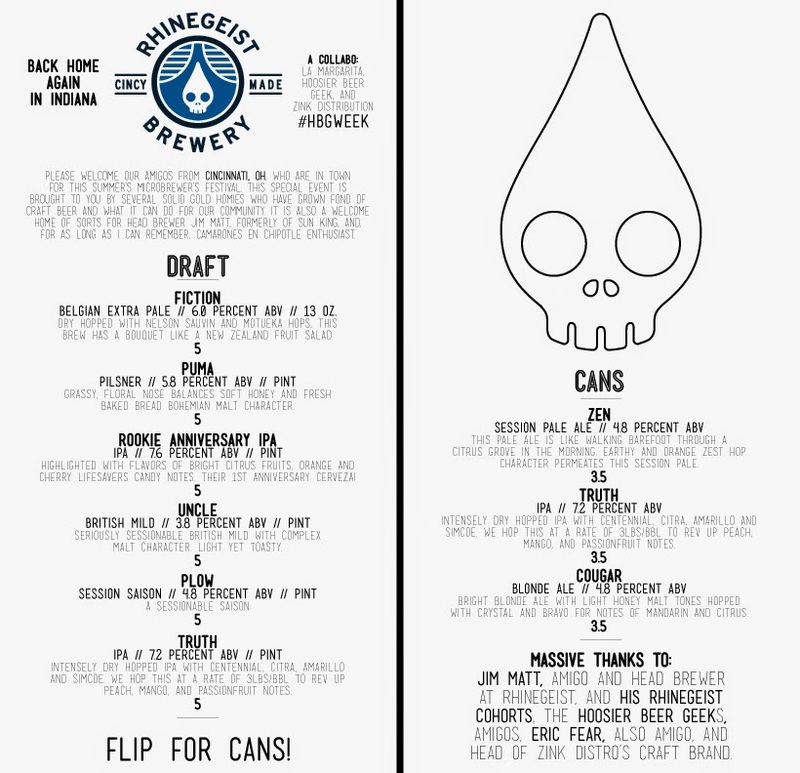 The Rhinegeist Tap Takeover is one of Hoosier Beer Geek's week of events that we are calling #HBGWeek.